Highlights from the Sky Bet League Two clash between Leyton Orient and Mansfield. 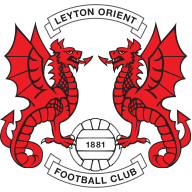 Ollie Palmer scored the goal that gave Leyton Orient a 1-0 win against Mansfield in the League 2 contest at the Matchroom Stadium. Both teams had golden opportunities to break the deadlock in the first half. 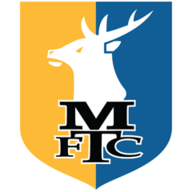 In the 11th minute, Palmer was forced wide as he rounded Stags goalkeeper Scott Shearer but faced with empty net, the 24-year-old saw his shot from a tight angle cleared off the line by Matt Blair. However, that effort was overshadowed 10 minutes later when Emmanuel Dieseruvwe headed wide of an open goal after O's goalkeeper Alex Cisak had come off his line but failed to collect a cross from the left. Cisak though redeemed himself on 36 minutes when he pushed an Adam Chapman free-kick and reacted quickly to claim the ball at the second attempt. After the break, Palmer came close to doubling his tally when he slipped two defenders before rifling his shot narrowly wide but Stags were denied a point by the woodwork when Reggie Lambe slammed a drive against the crossbar.